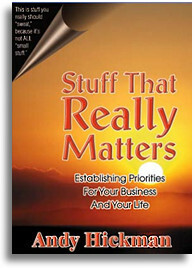 • Spoken for most of the Fortune 500 companies in America on the topics of Change, Customer Service, Leadership, Relationship Building, and Sales. 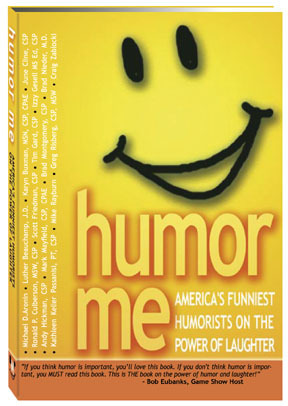 • Delivers a unique combination of good clean humor…amazing illusions…and a customized message will make your next meeting a laughter-filled, inspiring, and unforgettable event. 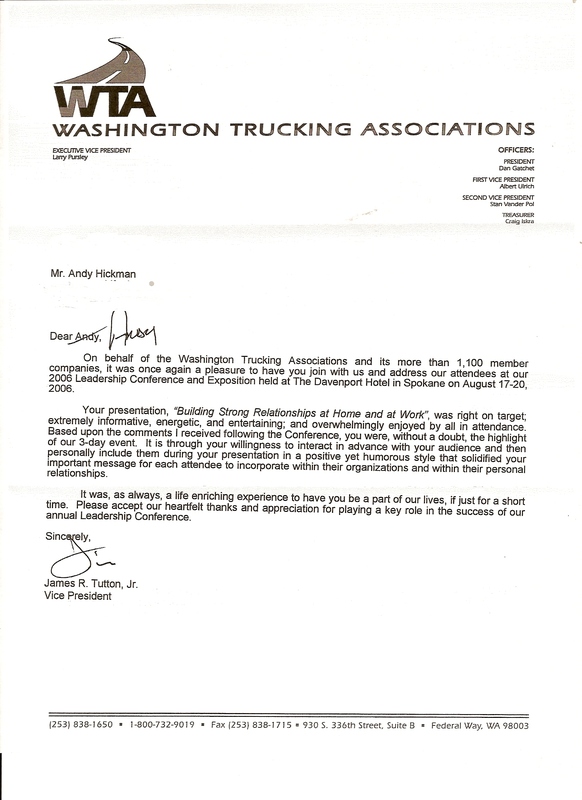 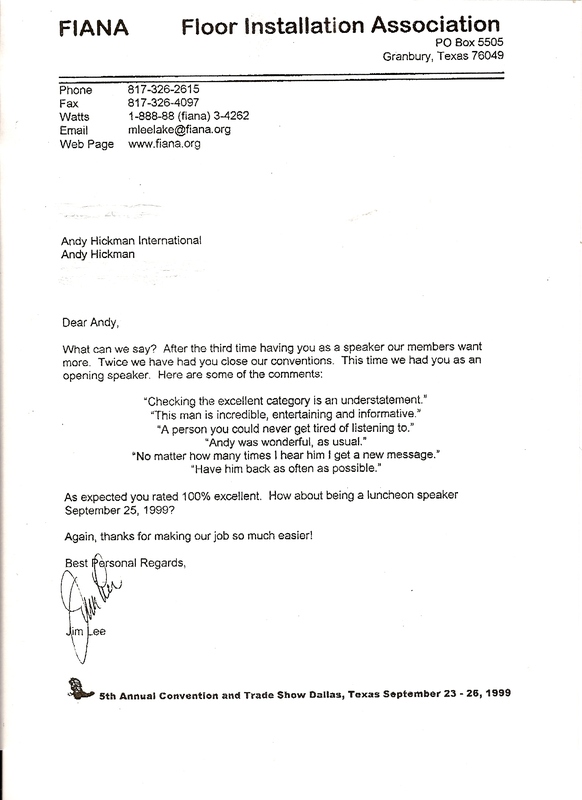 • Has been a full-time professional speaker since 1990. 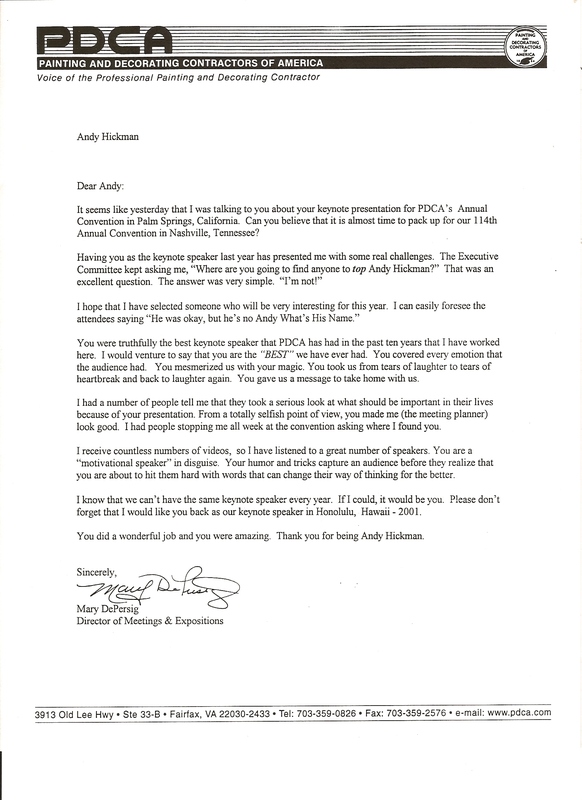 • If your people need to be entertained, educated, excited, encouraged, and inspired, then Andy Hickman is the speaker you want. 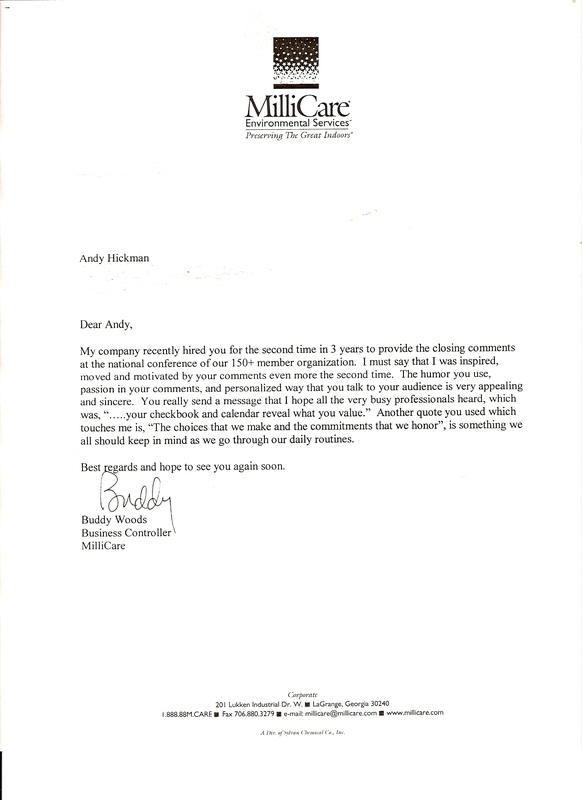 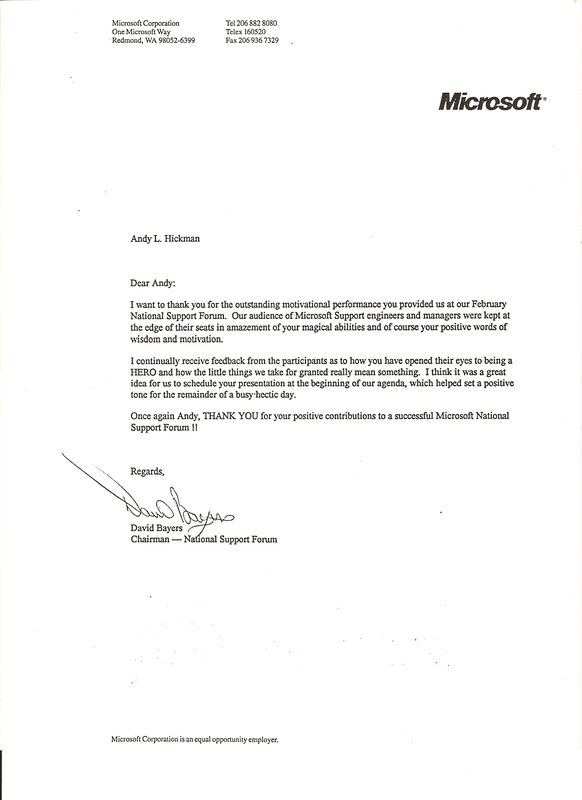 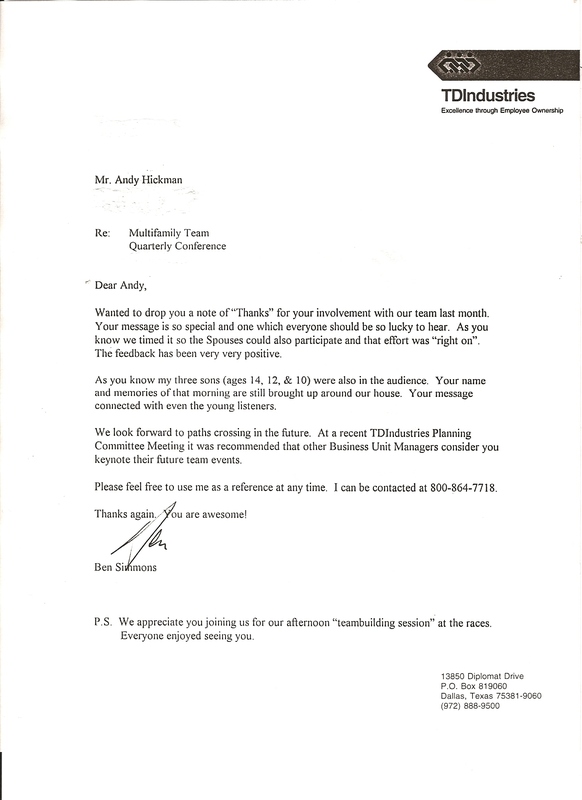 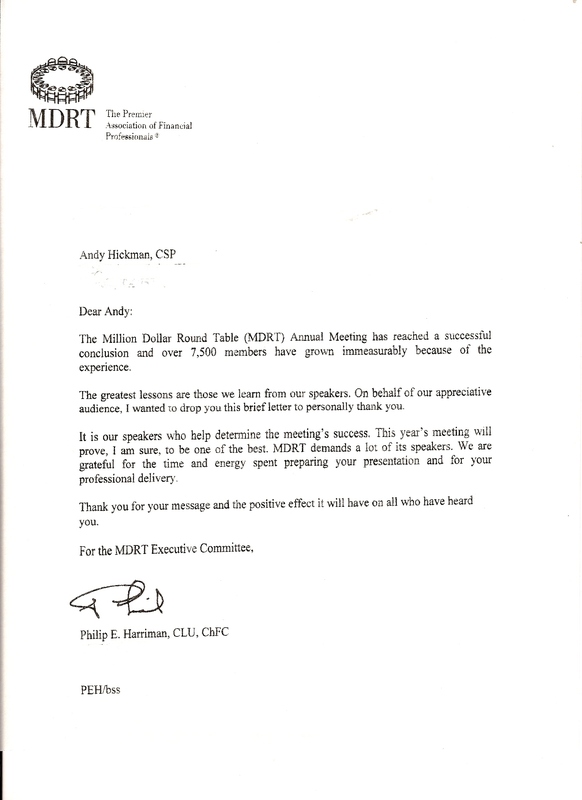 Before becoming a Professional Speaker, Andy owned and operated three businesses at the same time: a Real Estate Development company that built over 1,000 multifamily residential units in the Dallas/Ft Worth Metroplex…a Property Management company to manage these properties…and a Mortgage company to finance the sales of these properties. 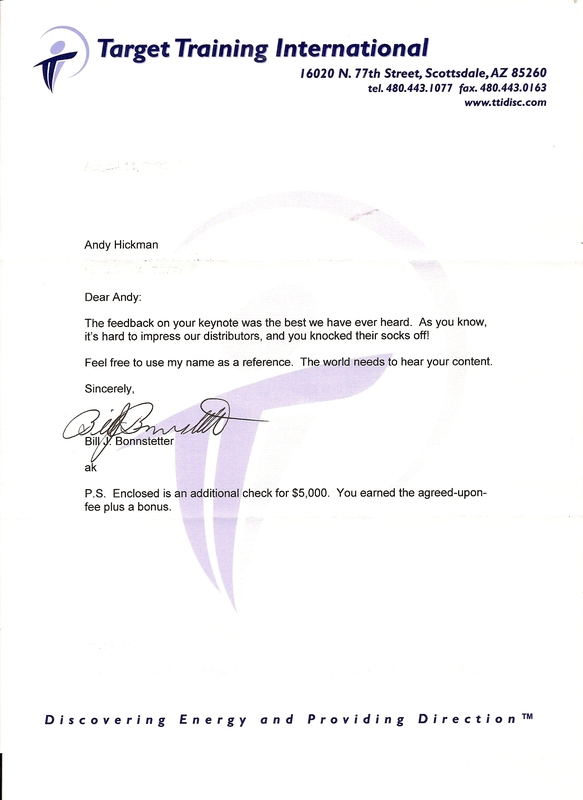 At that same time, while working with David Copperfield’s “Project Magic”, he realized that others could be profoundly moved by the art of magic. 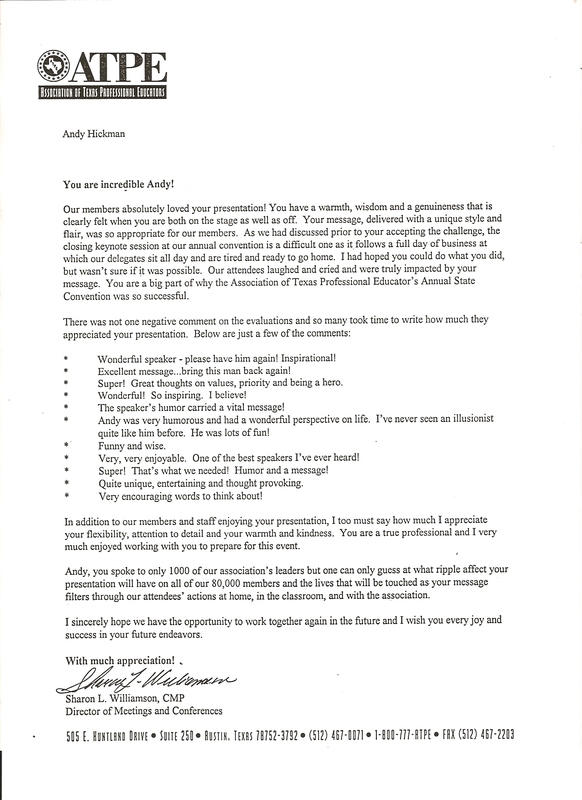 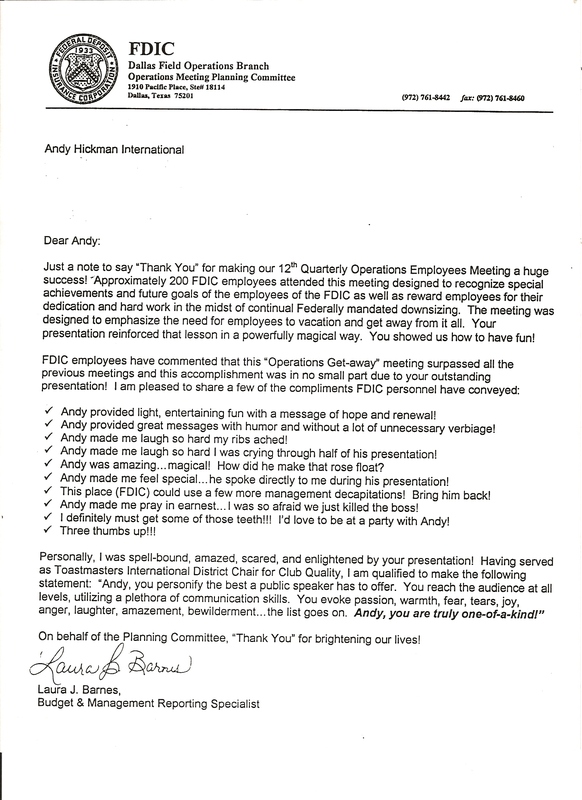 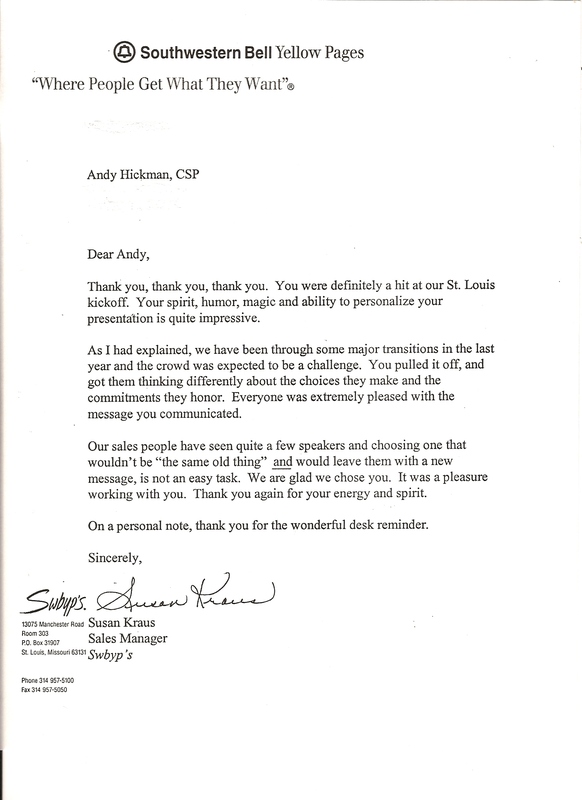 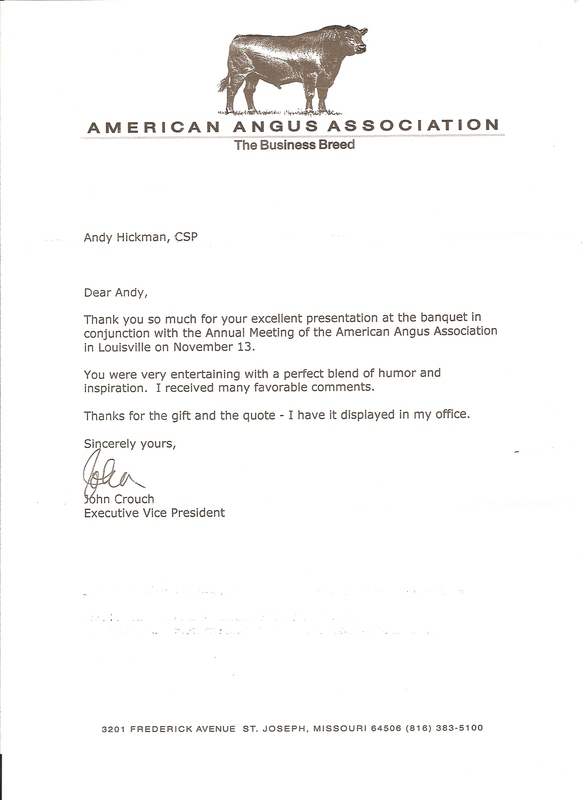 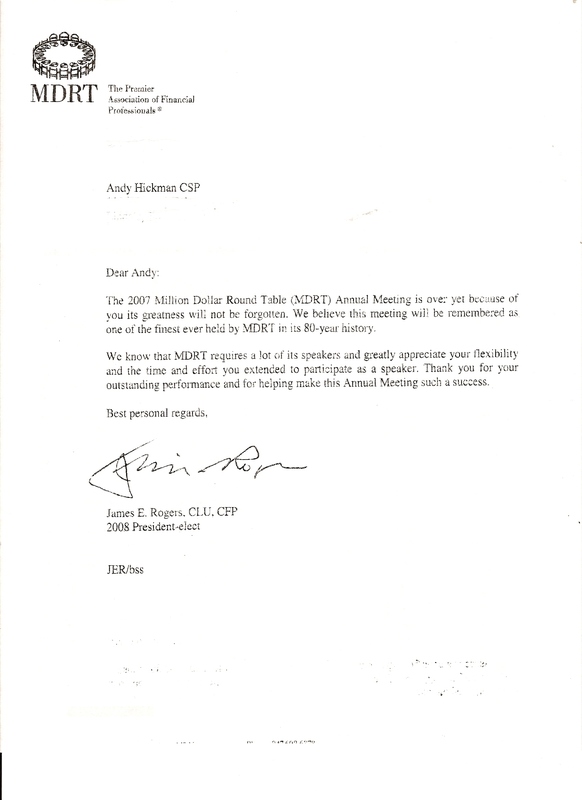 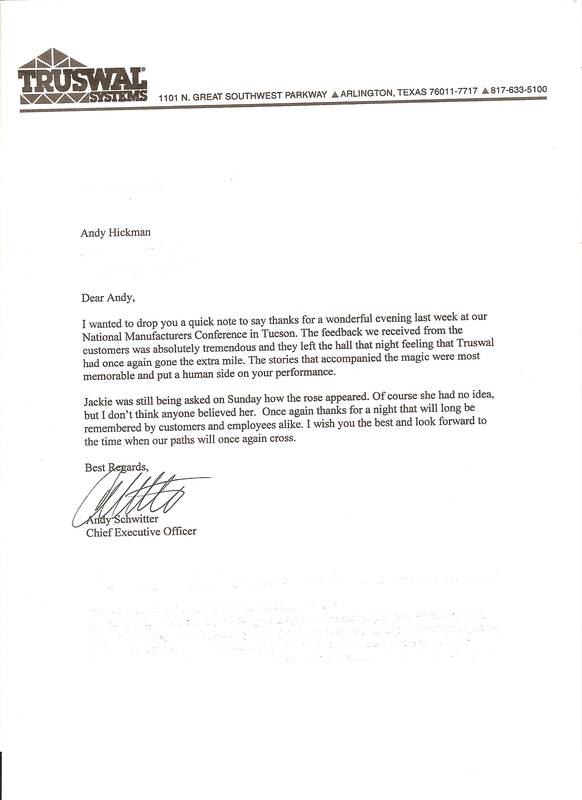 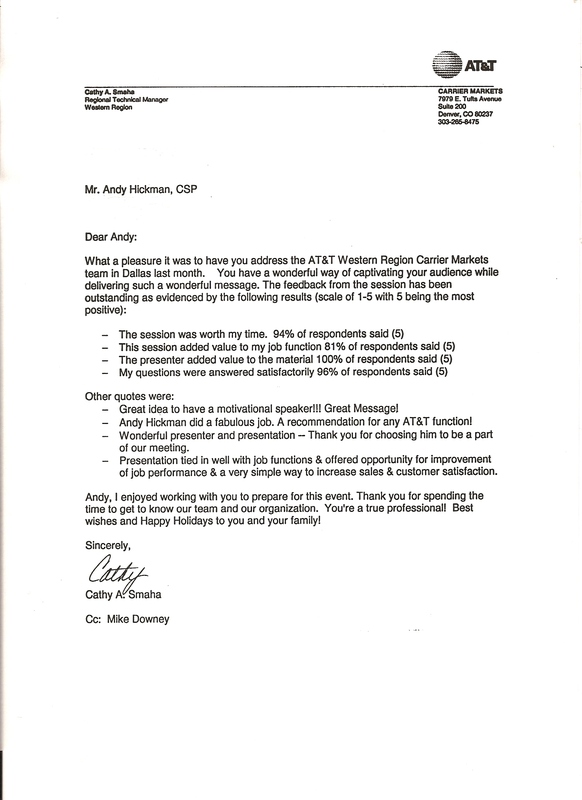 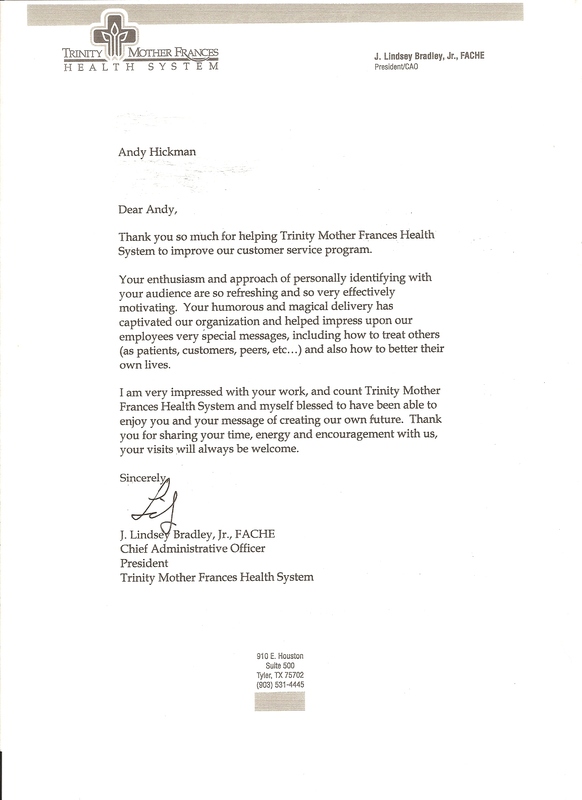 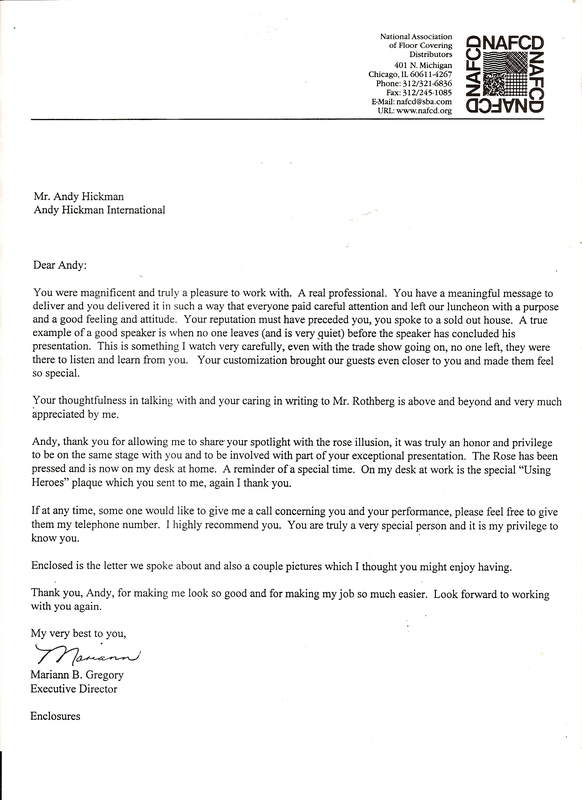 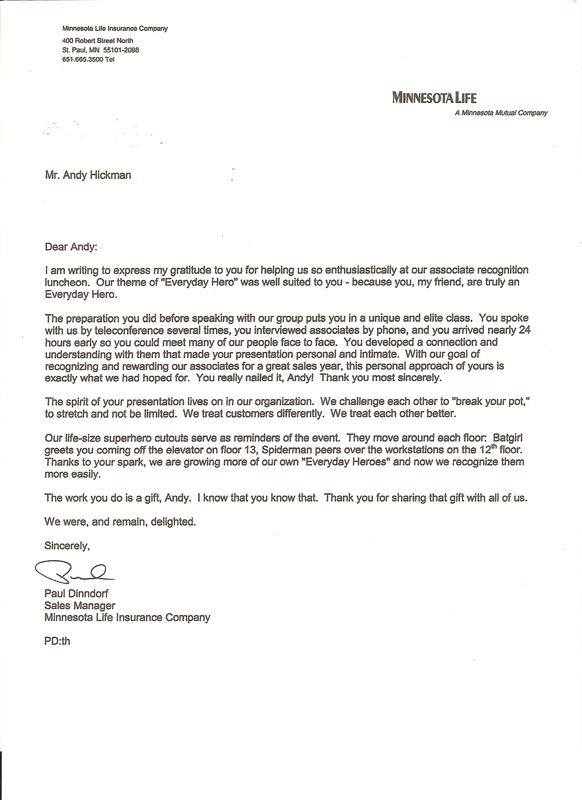 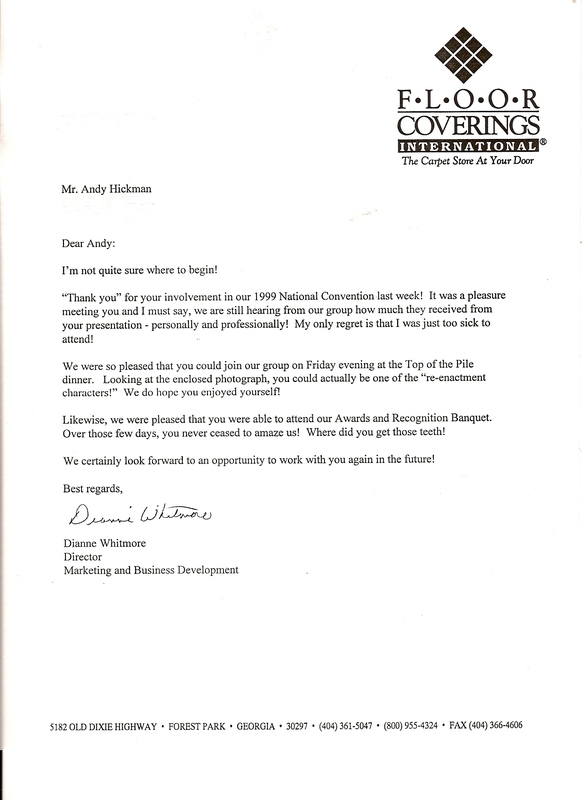 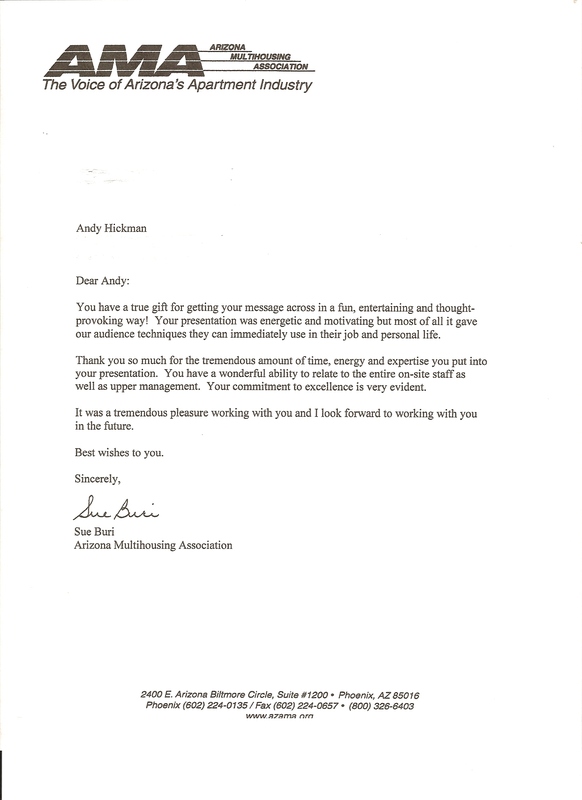 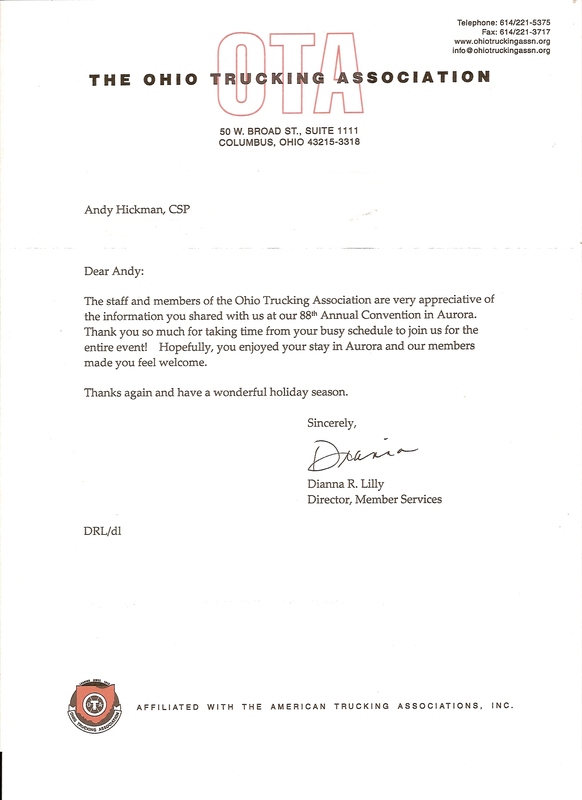 Today, Andy is far more than just a speaker/entertainer…he connects with his audiences on a profoundly deep level. 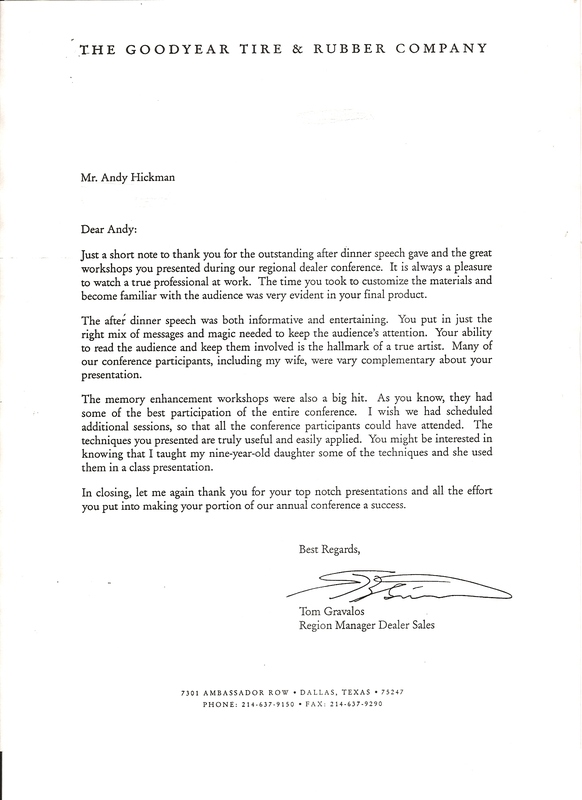 After experiencing one of his Keynotes, the audience members are inspired and equipped to grow in the midst of change. 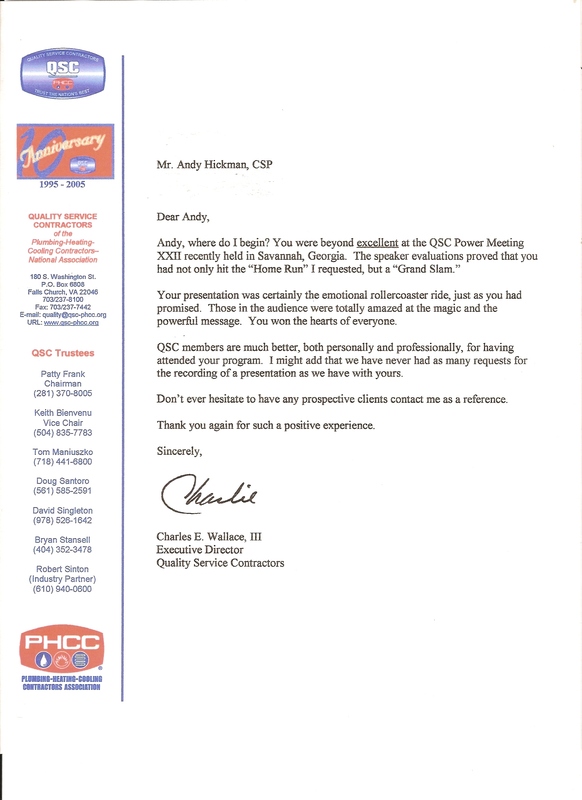 Since 1990 it’s been Andy’s privilege to address thousands of audience members, and perhaps one of his greatest honors was being hired to deliver the Keynote Address to the survivors of the Oklahoma City bombing. 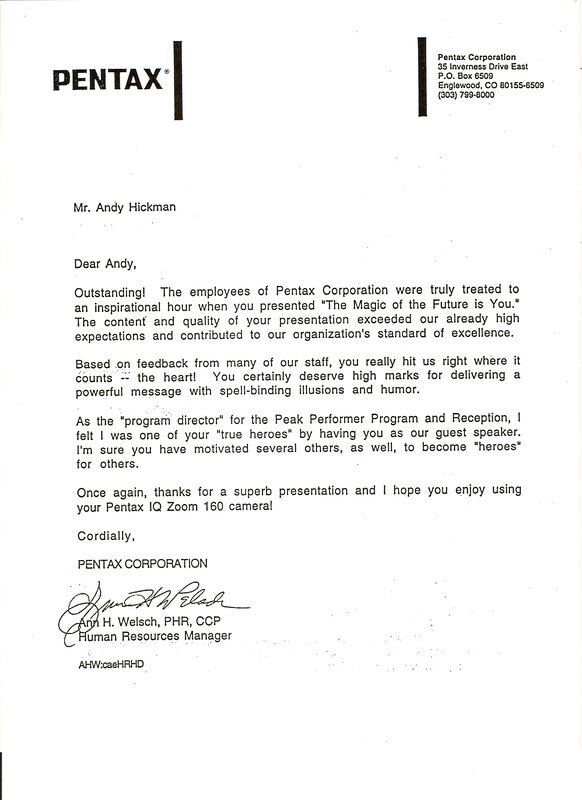 Andy Hickman believes in magic…and after hearing him speak, you will too.